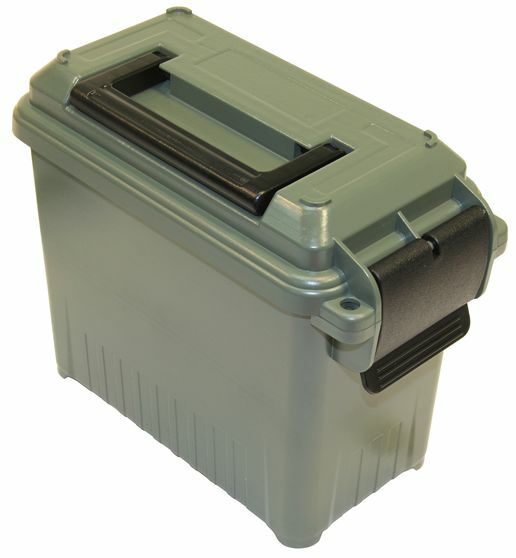 • Military-style Mini Ammo Can offers dry storage for ammunition, emergency gear, medical supplies, batteries, tools, boating and valuables. • Heavy-duty latching system makes for a better seal. Strong comfortable handle and double padlock tabbed for security. 100 rounds of boxed 28ga. or 410ga. MTM Ammo Cans are water-resistant not water proof.